EARLY SPECIAL $89.95 TOP & SKIRT. WE BEAT MOST OTHER PRICES! FAST CUSTOMS. 1-888-708-5252 WE MAKE CUSTOMS, GREAT PRICES. FAST. 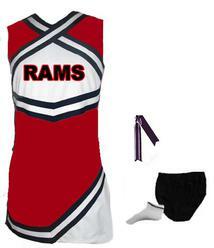 WE HAVE UNIFORMS FOR ALL BUDGETS & DO CUSTOM DESIGNS AT GREAT PRICES, FAST. 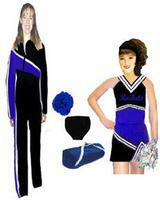 DIAMOND DANCE COSTUMES FOR DANCE RECITAL STUDIO OWNERS & DANCE TEAMS. LOCK IN EXTRA PRESEASON SAVINGS & SAVE EXTRA WITH AN EARLY QUOTE. 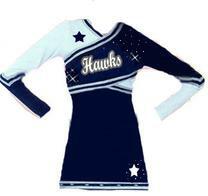 FAST CUSTOM UNIFORMS 3-4 WEEKS & RUSH ORDERS! WE BEAT MOST PRICES! ONLINE SHOPPING COMING SOON! CHOOSE CRISS CROSS OR RACER BACK OR FULL BACK. CHOOSE COLORS. BODYSLIMMER EXTRA $29.95 CHOOSE COLORS & TRIMS. OTHER STYLES TO SUB ALSO. UNIFORM BRIEF & HAIR SCREAMER OR BOW MANY STYLES TO CHOOSE. CHOOSE FROM OVER 10 STYLES. CUSTOM COLORS & FAST. LETTERING ADDITIONAL TACKLE TWILL OR RHINESTONE. ALL COLORS SIZES CUSTOM BRAIDS FAST. LETTERING & RHINESTONES EXTRA. CAN ADD TO ANY UNIFORM. CHOOSE COLORS FABRICS & MORE. DANCE DRESS STARBURST $79.95 CHOOSE COLORS. CUSTOM LENGTH SKIRTS TOO ADDITIONAL. ADD A SKIRT ALL STYLES. ALL COLORS METALLICS TOO. FAST. 2-4 WEEKS. CHOOSE COLORS & TRIMS BRAID OR SEQUIN . METALLIC FABRICS TOO. LETTERING ADDITIONAL. CHGOSE COLORS TRIMS ADD METALLICS TOO. LETTERING & RHINESTONES OPTIONAL & ADDITIONAL. ADD RHINESTONES ADDITIONAL & OPTIONAL. CHOOSE COLORS & MANY UNIFORM STYLES TO CHOOSE . LETTERING EXTRA. ADD RHINESTONES ETC. CHOOSE COLORS. LETTERING EXTRA & DISCOUNT. LETTERING EXTRA & OPTIONAL RHINESTONE LETTERS SHOWN ADDITIONAL. SKIRT OPTION OR PANTS AVAIABLE. WARM UP/ POMS/ TOTE/ BRIEF CONTACT US FOR DETAILS. CHOOSE FABRICS LYCRA, SEQUIN METALLICS ADDITIONAL . MANY STYLE UNIFORMS TO CHOOSE FROM. CUSTOM PAKS TOO. YOU CHOOSE ITEMS WE DO PRICING. CHOOSE DIFFERENT BOTTOMS/ COLORS/ FABRICS TRIMS. CHOOSE PANTS OR SKIRTS MANY STYLES. $69.95 SPEICAL CUSTOM WARM UP POLYESTER. 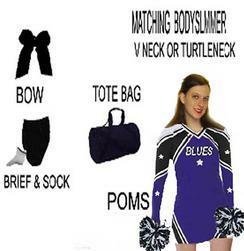 MATCHES UNIFORMS & BRAIDS & EXPANDS YOUR WARDROBE. CHOOSE COLORS & LETTERING EXTRA. WE CAN DESIGN OR MAKE MOST ALL STYLES! LET US HELP YOU FIND THE DESIGN FOR YOUR STYLE & BUDGET. 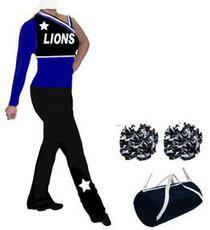 UNIFORMS FOR ALL BUDGETS & STYLES! CONTACT US FOR QUOTES! ANY STYLE CAN BE CUSTOMIZED CONTACT US! 3-4 WEEKS ON MOST STYLES!